For some of us, we went to school with the intention of working in the field of work-life. For others of us, the field of work-life found us. 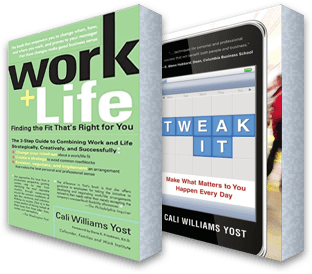 That was the case for Cali Williams Yost, pioneering work flexibility strategist, author, CEO and founder of the Flex+Strategy Group, and this year’s CUWFA conference keynote speaker. Williams Yost’s journey to work-life started when she was a commercial banker in the 1990s. She recalls that even as a young manager, she wanted to help her employees manage work and having kids. When Williams Yost’s boss asked her to reprimand one of those employees to whom she wanted to grant more flexibility, she knew something had to change. Williams Yost became a voracious work-life learner and advocate. She decided to get her MBA and ended up landing an internship at the Families and Work Institute. “I’ve always come at this from day one as a strategic business issue. This, to me, from my time at the bank, was about how an organization can optimize its resources and be most effective,” said Williams Yost. She knew she had a calling to help business owners and senior leaders understand that work-life benefits are good for business. Not just business in the traditional sense – higher education organizations as well. She explained that linking work-life supports with business outcomes and basing them in the mission of the institution is a concrete strategy for gaining buy-in from leadership. As Williams Yost explains, there are two main business benefits that work-life supports offer. First, and probably little surprise here, flexibility ranks at the very top of employees’ lists of important qualities in a workplace. Williams Yost said, “To me, the work-life leader is providing one of the top strategic solutions that every organization needs to be leveraging. To get the talent, keep the talent, and manage the talent, they need to succeed.” Work-life leaders have the capability of helping institutions offer the flexibility that the majority of employees want in a workplace. Second, businesses are typically seeking ways to stretch their bottom dollar, or as Williams Yost phrases it, “optimize resources.” One of the most surefire ways of expanding resources is by examining and finding creative solutions to space constraints through flexibility and leveraging technology to help people work more efficiently and have control over how, when, and where they work. Although work-life supports can offer many “bottom line benefits” to a workplace, shifting the culture can be much more difficult. Work-life leaders are often tasked with discovering and implementing culture shifts that help employee satisfaction, business continuity, and overall employee wellness. Williams Yost understands that culture shift can be difficult, but she offers some ideas for embedding work-life supports into the solutions of the institution’s concerns. “The trick here is to see those strategic opportunities and ask to be part of the solution as the work-life leader,” she said. 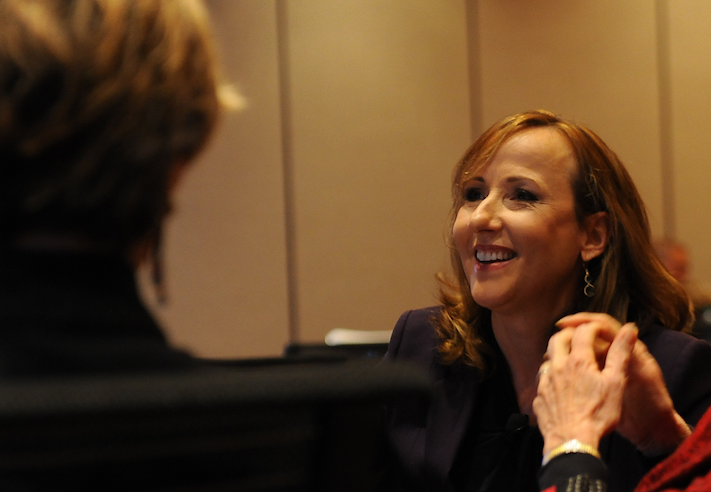 “And for every organization, those strategic challenges are going to be a little different, but just look for the opportunities.” She encourages work-life leaders to scan their workplace for solutions to institutional challenges, but also when a work-life practice is already in place, to help name it that for institutional leaders. Take, for instance, professors teaching online classes, work-life leaders have the opportunity to identify that as “remote work” for senior leadership. By doing this, work-life supports become part of the culture, rather than just a policy or rule that can be implemented.